Microfiltration is a purification plant which has 80 to 200 meshes /square inch micropore mesh fixed on a drum type filtration device by means of trapping solid particles in the water to achieve solid-liquid separation. While filtering, the micropore mesh can be cleaned on time by rotating the drum and the force of recoil water. The equipment is always kept in good working condition. Our company’s microfiltration machine is specially designed for solving the problem of present machine which is easily be blocked, damaged and corrupted and difficult to maintain and other issues. 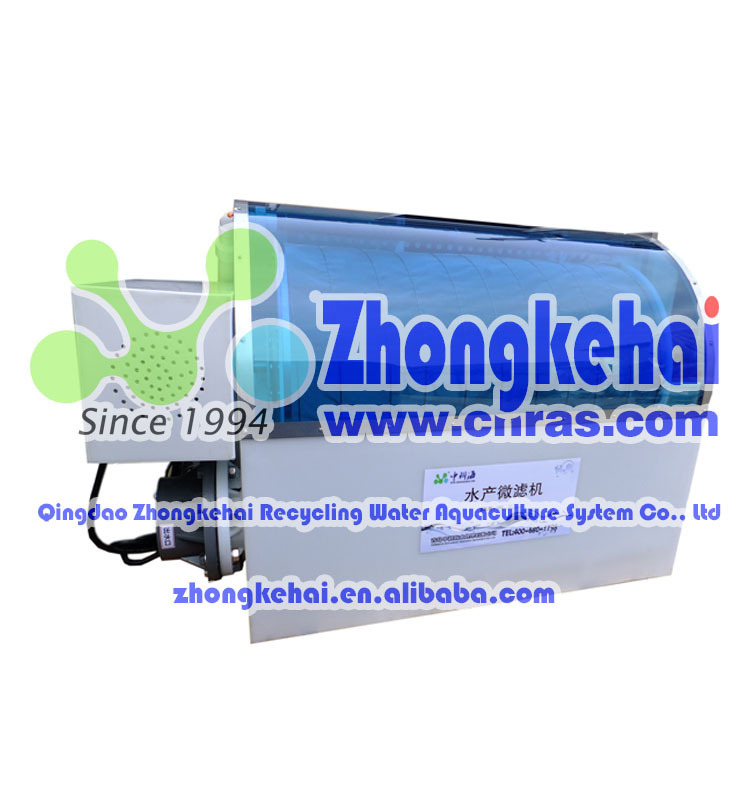 It is one of the best application technologies of water treatment for recycling sea water. 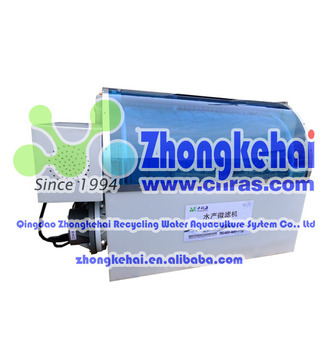 This product achieves the purpose of recycling by means of separating solid waste to purify the breeding water. In the aquaculture industry, microfiltration is mostly used in the first stage filter for raw water to wipe out large particles of sediment, suspended algae and other particles or the first coarse filtration of airtight cycling purification. 2. Occupied small area with ingenious structure. 3. Stable automatic recoil device and convenient to operate. 4. Microfiltration machine dedicated in factory aquaculture. 5. 316L stainless steel and corrosion-resistant materials has the performance of enhancing resistance to seawater corrosion. 6. Automatic recoil precise timing control pumps can flexible control the filtration condition according to the water quality. 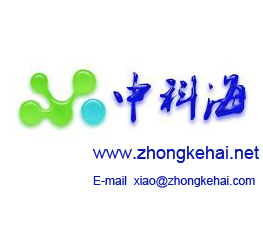 China ZHONGKEHAI Recycling Water Aquaculture System Co., Ltd is a high-tech enterprise founded in May 1994, which is specialized in inventing, designing, producing and selling of factory recycling aquaculture system equipments and engineering. Aiming for provide one package service range from equipment manufacturing to installation and commissioning of one set equipment for aquatic laboratory and cultivation on site. Special specifications can be customized reference photos.